The tongue-twisting term, sung by magical nanny Mary Poppins, is like much of Sherman’s work — both complex and instantly memorable, for child and adult alike. Once heard, it was never forgotten. Sherman’s agent, Stella Richards, said Tuesday that Sherman died peacefully in London on Monday. Jeffrey Sherman told The Associated Press that his father had learned the craft of songwriting from his own father, Tin Pan Alley composer Al Sherman. Robert Sherman knew another truth, his son said: “What seems so simple is really very complex. Robert A. Iger, president and CEO of The Walt Disney Co., said in a statement that the company mourned the loss of “one of the world’s greatest songwriters and a true Disney legend.” Three Broadway marquees — including The New Amsterdam Theatre, where “Mary Poppins” is playing — will dim their lights Tuesday night in Sherman’s honor. 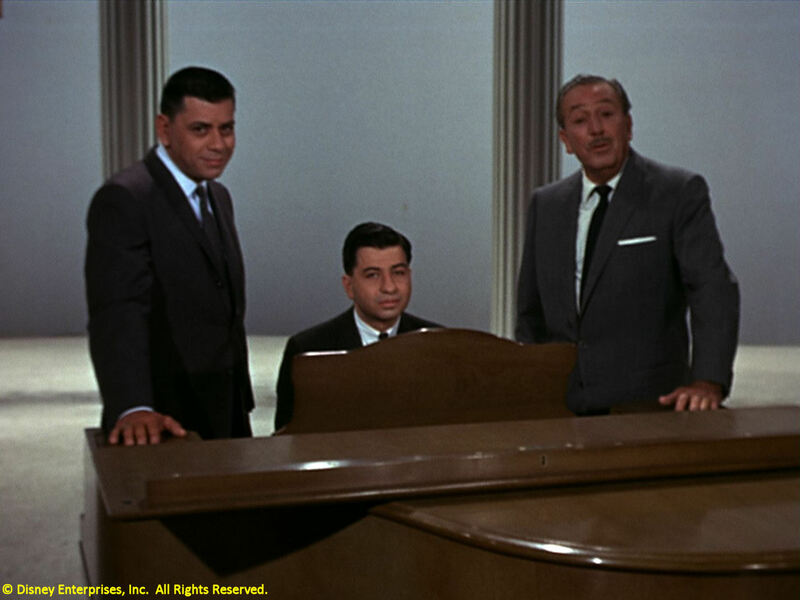 The Sherman Brothers’ career was long, prolific and garlanded with awards. They won two Academy Awards for Walt Disney’s 1964 smash “Mary Poppins” — best score and best song, “Chim Chim Cher-ee.” They also picked up a Grammy for best movie or TV score. Their hundreds of credits as joint lyricist and composer also include the films “Winnie the Pooh,” ”The Slipper and the Rose,” ”Snoopy Come Home,” ”Charlotte’s Web” and “The Magic of Lassie.” Their Broadway musicals included 1974’s “Over Here!” and stagings of “Mary Poppins” and “Chitty Chitty Bang Bang” in the mid-2000s. The brothers’ awards included 23 gold and platinum albums and a star on the Hollywood Walk of Fame. They became the only Americans ever to win First Prize at the Moscow Film Festival for “Tom Sawyer” in 1973 and were inducted into the Songwriters’ Hall of Fame in 2005. “There is a magic in their songs and in the films and musicals they breathed life into,” he said Tuesday. Robert Bernard Sherman was born in New York on Dec. 19, 1925, and raised there and in Beverly Hills, California. Robert Sherman’s affection for Britain was nurtured during his service with the U.S. Army in World War II. One of the first American soldiers to enter the Dachau concentration camp — and, his son said, the only Jewish serviceman there — he was shot in the knee in Germany in 1945. Recovering in hospitals in England, he developed a fondness for and familiarity with the country that stuck with him. He wrote for British characters in “Mary Poppins,” ”Chitty Chitty Bang Bang” and “Winnie the Pooh,” and spent the last years of his life in London. After the war, the brothers started writing songs together. They began a decade-long partnership with Disney during the 1960s after having written hit pop songs like “Tall Paul” for ex-Mouseketeer Annette Funicello and “You’re Sixteen,” later recorded by Ringo Starr. Most of the songs the Shermans wrote — in addition to being catchy and playful — work on multiple levels for different ages, something they learned from Disney. “He once told us, early on in our career, ‘Don’t insult the kid — don’t write down to the kid. And don’t write just for the adult.’ So we write for grandpa and the 4-year-old — and everyone in between — and all see it on a different level,” Richard Sherman said. Another of their songs — “It’s a Small World (After All)” — has become one of the most translated and performed songs on the planet. It plays on a continual, multilingual loop every few minutes at Disney theme parks across the world — a fact that Disney employees are only too well aware. “We’ve driven teenagers crazy in every language,” quipped Robert Sherman. Away from the piano, the two raised families and pursued their own interests, yet still lived close to each other in Beverly Hills and continued working together well into their 70s. When “Chitty Chitty Bang Bang” came to Broadway in 2005, they added new lyrics and four new songs. Robert Sherman moved to Britain in 2002 after the death of his wife Joyce. He is survived by his brother and four children: Laurie, Jeffrey, Andrea and Robert.